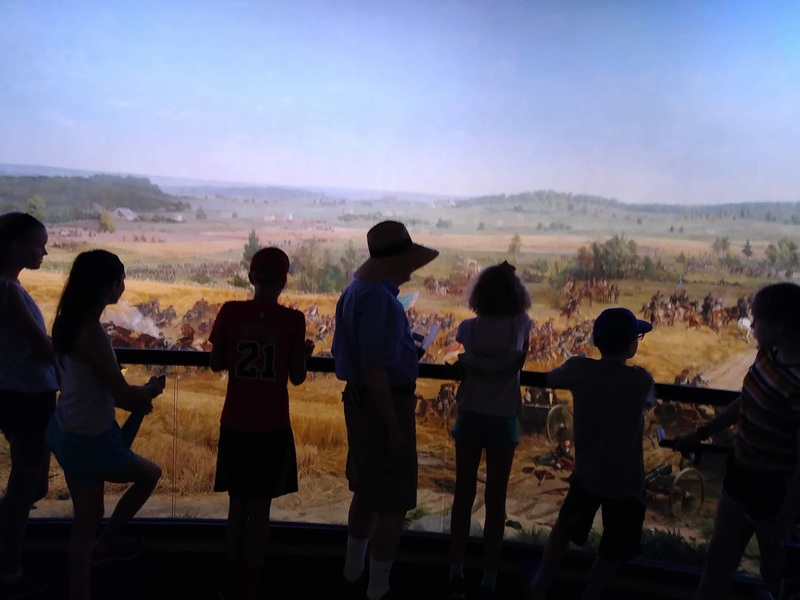 Our Gettysburg trip was awhile ago, but other things keep popping up that distracted me from writing about this little adventure . . . and by 'little' I mean a long, painful car ride followed by the second opportunity to be force fed lots of historical facts by my should-have-been-a-history-professor father. 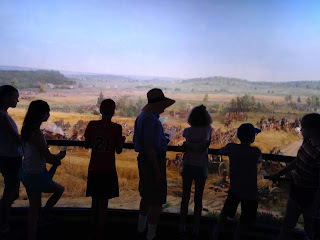 Touring Gettysburg is not my idea of a good time, so if you are reading this in order to ascertain my take on the pivotal mistakes made in the battle - or in hopes of seeing if the lot of us dressed in period dress while we toured the battlefields, um, spoiler alert - this post is gonna disappoint. ‘Survive’ a key word here. We were eating in a pub, well, I was trying to eat. Have I mentioned how much I struggled to find gluten free food over there? I digress. If there was to be another Gettysburg road trip, I would need another driver. Seven years ago, Dad shared the driving duties. That was light years ago. No way was he going to get behind the wheel of my big-rig now. I put my feelers out. My best friend since 2nd grade is a history buff. She travels a ton, so her summer weekends were booked. Bummer. Really, because she already knows Dad and grasps our family dynamics. I tried Coach’s former office manager. She has always begged Coach and I to put a live feed in the van when we travel to a national park with our brood. OK, so this wasn’t my entire brood, but my youngest three were scheduled to partake, and an assortment of cousins. Close enough. She couldn’t go either though. Ugh. Dad recruited my brother, Pat (If you are not sure about what our relationship is like, just click the link to learn more), to help drive. Two of his 4 kids were coming along. Swell.